The technology of today’s world is progressing at a very frantic pace. New innovations and technological developments have made it possible to develop new synergies in an existing framework. Blockchain technology which has bamboozled peopled across with its effectiveness made it possible to dream about a decentralized unit. Similarly, Internet of Things (IoT) has also been picking up a rapid pace. With the help of IoT, independent devices will be able to connect themselves to the internet. This synchronization will help in the development of intelligent devices which will be able to carry out work independent of human interference. But what happens if IoT is integrated with Blockchain? It does sound straight out of a science fiction novel. However, IoT and Blockchain seem to be a natural fit. In this article, we will discuss how IoT will influence the future of Blockchain technology and why nobody has yet succeeded at running IoT on the blockchain framework. IoT is based on the concept where wirelessly connected sensors are embedded in almost any commonly used devices such as refrigerators, auto-parts, washing machines and even dog collars. This means everything can be tracked, it’s inventory managed and can be made accessible through a continuous stream of signals. This constant flow of interacting devices will help the businesses to move away from the product-oriented theme to the service-oriented theme. But it also brings us to one important issue to address. According to estimates, there will be around 10 million inter-connected devices and objects in the next four years. This will create a huge amount of tracking to identify those things and also verify who owns them, authenticate their interaction with other things in the interloop. How will IoT influence the landscape of Blockchain technology in the future? For integrating the blockchain network with the IoT, developers must ensure that they treat every individual device as a unique user of the blockchain. Therefore, every vital piece of information that gets transmitted from the IoT device is processed by the Blockchain network as a transaction. In theory this system does sound feasible, however, this is only possible if the size and the transmission of the messages are limited. Commercial deployment of blockchain based businesses will take some time as the blockchain based IoT network has to be upgraded significantly in order to serve many users. Why is it still a longshot solution? One of the main problems blockchain network is facing these days is the scalability factor. To increase the scalability, optimizing the chain will help a bit but for mainstream market applications one must boost up the transaction processing speed which will affect other applications connected to the chain as well. At present, only the Ethereum network, has more flexibility than other networks such as bitcoin, which can process only six transactions per second. To make a jump from six transactions per second to hundreds of thousands of transactions per second is definitely unrealistic. In order to handle this, an unprecedented scalability solution must be implemented. Plasma, an Ethereum scaling solution, could become a practical solution to the severe scalability issues of blockchain networks. It uses multiple blockchain networks that are interconnected with each other, and several aspects of transactions are kept confidential through the usage of ZK-SNARKs cryptographic system. This reduces the size of transactions and ultimately, increases the capacity of the blockchain. However, even with side chains and second-layer solutions like Plasma or Lightning Network, it is still out of the question for a blockchain to handle hundreds of thousands of data points per second. IBM is currently focused on developing centralized blockchain networks. With the implementation of permission blockchain networks, there is a definite trade-off between security and flexibility. 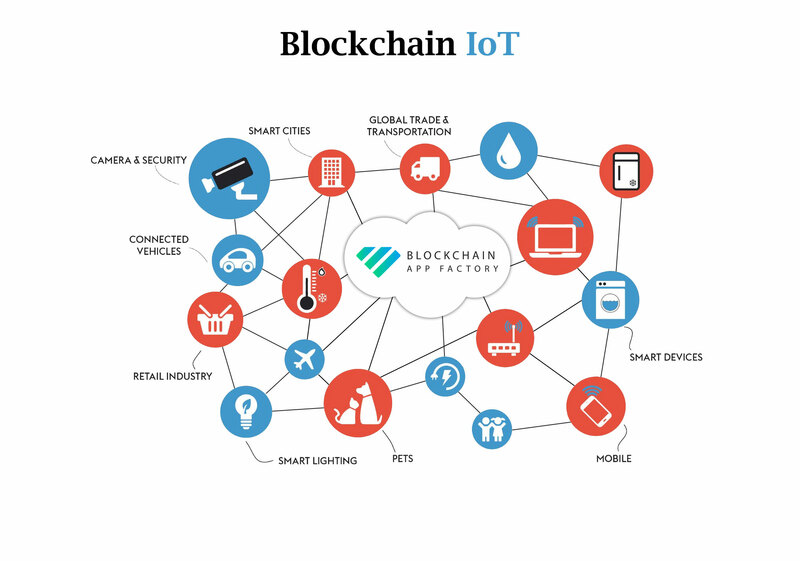 Nevertheless, this will assist in the successful implementation of blockchain technology with IoT in the near future.